Towering over the Chao Phraya River, the Montien Riverside enjoys an excellent situation in the centre of Bangkok. 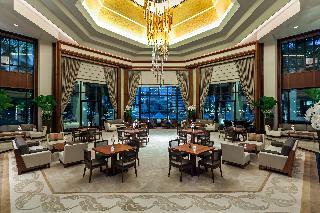 The rooms have a classic interior design and all of them offer panoramic views over the river. The hotel features a variety of services and amenities including a traditional Thai boat and an outdoor pool area with landscaped gardens and views over the city. Shopping malls such as Siam Paragon, Asiatique or MBK Shopping Centre can be reached within a short drive. A fantastic place to discover this exciting city. 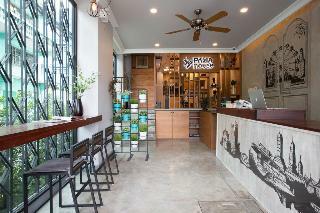 PAMA House Boutique Hostel located on Charoen Nakhon Road, Bangkok. This is the center of tourism in the city. The distance from the ferry dock to dock Sathorn 2 km and 2.2 km away from BTS Krung Thonburi.Sathorn Pier is a point where you can travel to the Temple of the Emerald Buddha, Grand Palace, Khao San Road, Wat Pho, Wat Arun, Vimanmek and Asiatique easily accessible by express boat. And the Sathorn Pier is also connected to the BTS Sky train Saphan Taksin. Once you step through the doors of Chor Cher - The Green Residence you will feel at home. Managed by a trustworthy hospitality company, the hotel adopts a pleasing urban contemporary design that delivers a comfortable and friendly ambience reflected in its green lifestyle theme. You will recognise immediately that you can relax in its stylish and well-appointed rooms after a long and tiring airline flight to Bangkokโ€s gateway Suvarnabhumi International Airport just a 30-minute drive from the hotel. The 389-room hotel has two eight-floor towers (north and south), connected by a spacious garden atrium. It is the latest in the Richmond groupโ€s line of hospitality-related properties that display a pedigree for delivering superb Thai service. Like the groupโ€s flagship property, Richmond Hotel, located in the Thai capital, Chor Cher - The Green Residence majors on quality service and value-for-money rates that travellers find refreshingly comfortable. 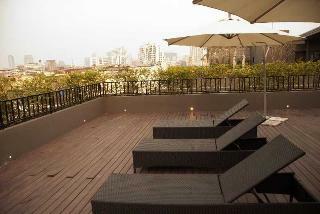 This hotel enjoys a prime setting in Bangkok, lying within easy access of the city's most popular attractions. 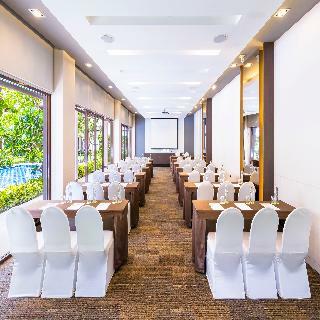 Guests will find themselves in close proximity to The Temple of Dawn, The Grand Palace, Khao-san Road, Wat Pho, the National Museum, Flower market and Nitasrattanakosin Exhibition Hall. 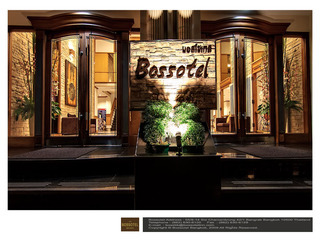 This wonderful hotel affords guests the ideal setting from which to explore this mesmerising city. Bangkok Suvarnabhumi International Airport is situated just 38 km away. This stylish mansion bathes visitors in culture and history, tempting them into a world where old-world elegance meets contemporary design. 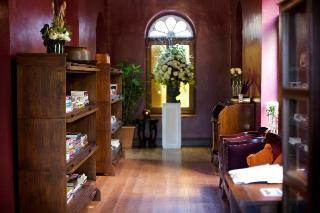 The guest rooms are beautifully appointed, exuding classical elegance and charm. The rooms are well equipped with modern amenities. 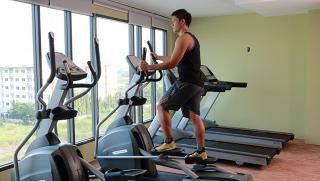 Guests will appreciate the host of facilities and services that the hotel has to offer. They're so nice and friendly. And I love eating there!